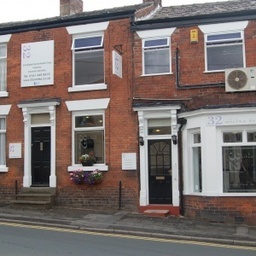 About us At 32Whites we normally offer same day appointments for Emergency dental treatments. Based just outside Stockport, we can service the whole of Greater Manchester and surrounding regions.&nbsp;32Whites specialise in all aspects of implant dentistry. With many years combined expertise in dental implants and all other dental procedures, you can be sure you will receive the best treatment and advice regarding your teeth and dental health.At 32Whites, we treat our patients both empathically and professionally. We understand that some people have genuine phobias of going to the dentist and we are very experienced in helping you overcome such fears. Dr. John Mantel is dental phobia certified.